Note that the image of Dita Von Teese and the concept of "vintage" is quite synonymous. 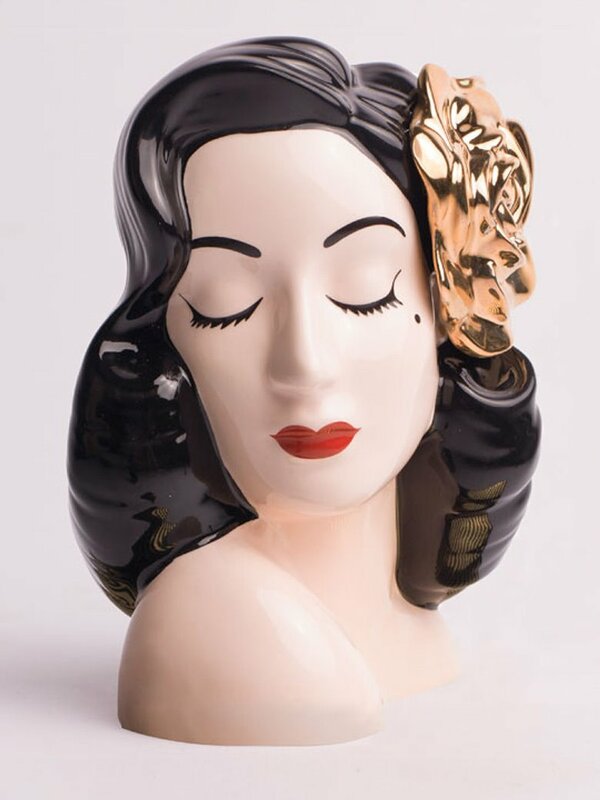 Therefore, luxury vase in the style of 50's, which is so easy to store brushes for make-up, will be interesting to fans of the famous actress of Burlesque and amateurs of interior retro stuff. 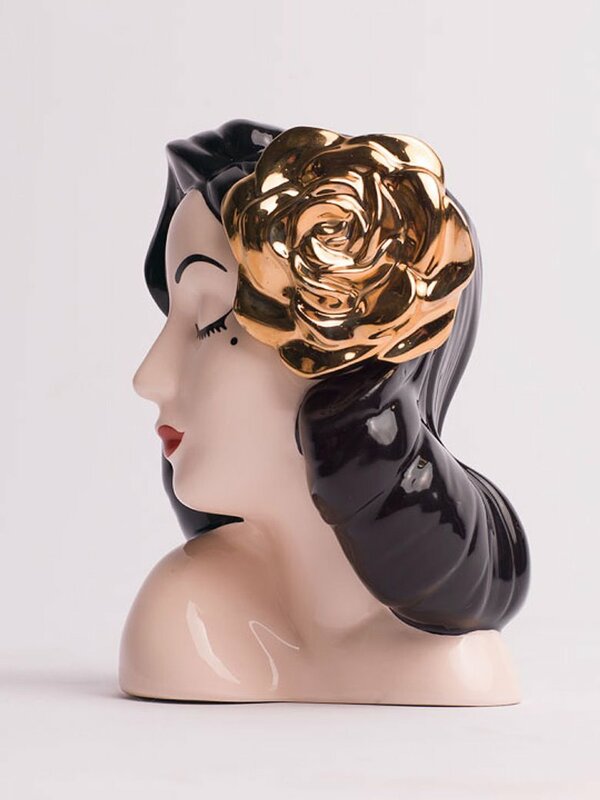 Fashioned after Dita's favorite vintage lady head vases, these limited-edition ceramic vases feature Dita with a deep red or gold rose in her hair. 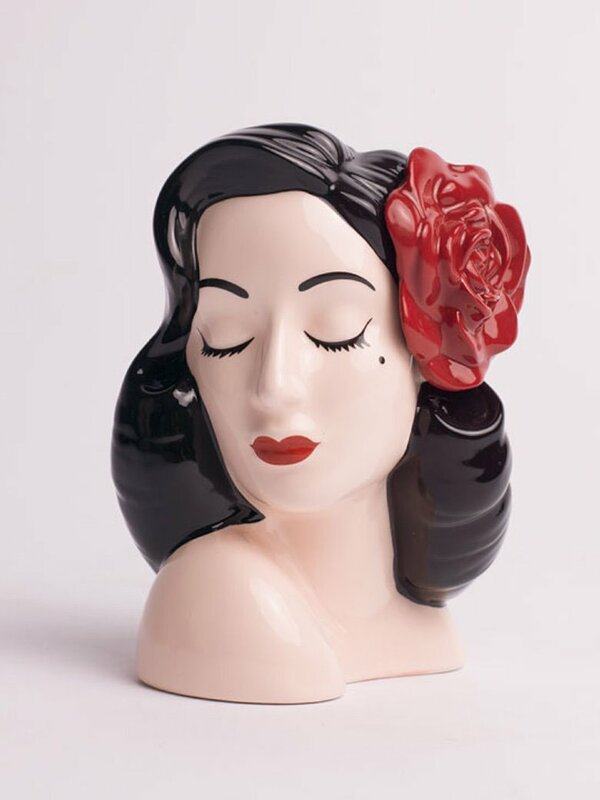 At 6.25" tall and 4.25" wide, they are designed to the same specifications as the original vintage glamour girl vases. Each vase has Dita's signature fired into the glaze and comes in a beautiful presentation box. Use this elegant vase to hold your makeup brushes, writing instruments, as a planter, and of course, as a flower vase. 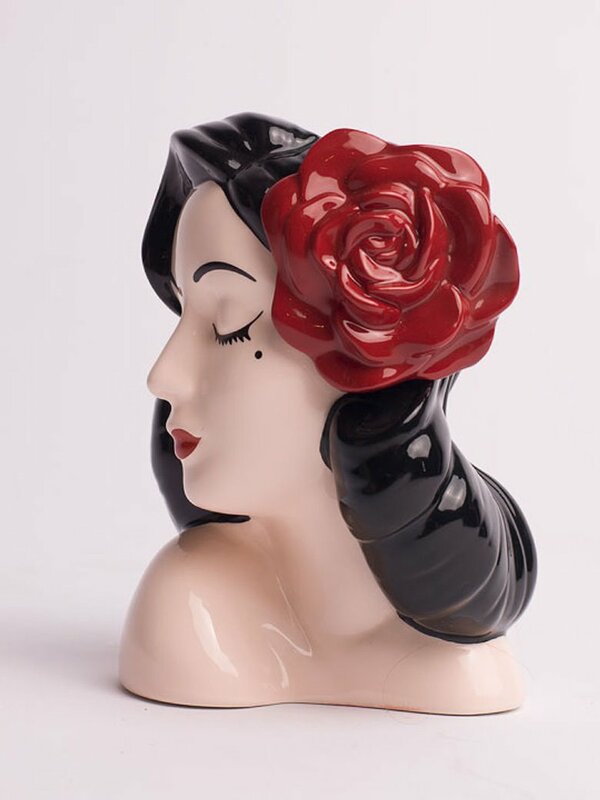 Vase in the form of head Dita available on the website shop.dita.net in two variations: with scarlet and gold roses in blue-black hair.